Last week I watched the movie No Impact Man. It's a documentary about a family living on 5th Ave in NYC who did a year long experiment in living "green" by creating as little environmental impact as possible – creating no waste and giving up electricity, gas-powered transportation, and shipped food. In the middle of the movie, Colin Beavan, ask himself, "Does me turning off my lights really make a difference?" If Colin hadn't written a book about his experiment, or blogged and spread the word about what he was doing, it wouldn't have. "If you want an example of someone who did all the right things with money – the right way to make, invest and spend money – it's my dad". I answered: "Did he teach you how?" His response: "My dad was a great role model, but not a good mentor". Now, I might be biased, considering I'm a teacher and coach, but I feel that if you reach a certain level of expertise in any given area – it's your duty to share it. You are where you are now because of all the teachers that passed on what they learned so you could be better for it. We often come to our yoga practice or do the things we do so that we might grow, gain insight, and have our lives improve as a result of it. However, the stakes are much higher than just our own benefit and transformation. It's true that we have to start with ourselves, but the buck doesn't stop there. Ultimately, we should do what we do for the welfare of others, for something more than just ourselves. I know not everyone is a natural born teacher, and I know it's not always easy putting yourself "out there" (being an introvert myself). But maybe we don't share the love because we haven't seated ourselves in the perspective that our life is ultimately an offering. The Tantrikas have a beautiful teaching that the world is a vast net woven together in space and time (tantra means "to loom"). 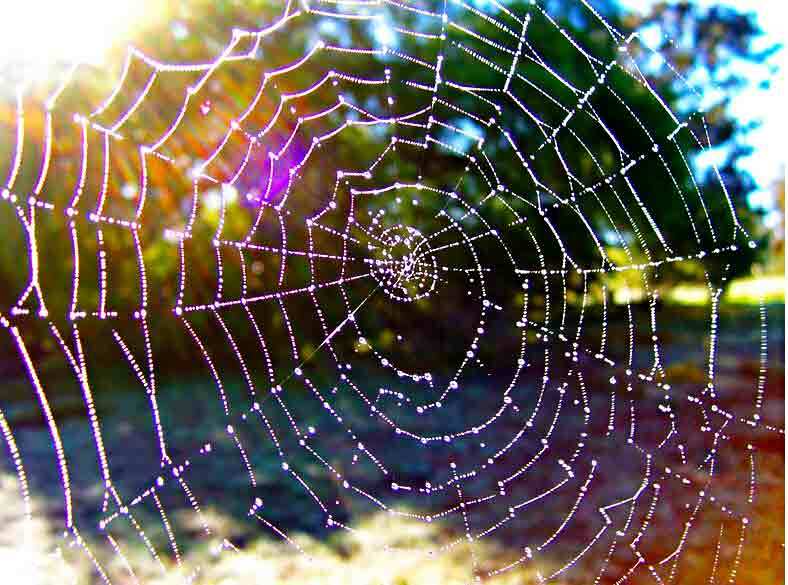 At the intersection of each strand of the net is a jewel which represents a human soul. Our dharma, or purpose is to hold up our part of the net by shining as our exquisite, unique self, each one of us offering up our talents out into the world. Our sacred duty is to receive our gift (discover it, recognize it), to cultivate it (refine it, grow it) and ultimately to offer it (share it). This story is close to my heart. I believe so strongly that each one of us has something so important and valuable to offer. It's such a shame when lack of self confidence, courage, trust, self worth, or other ego strategies block our light from shining. In essence we are stealing from the world when we're not sharing what we know and offering our gifts. To remind myself to be beneficial, I have a daily practice of reciting the mantra "How can I be useful? Who can I help?" when I wake up. I try to orient myself from that perspective as a reminder that – it's not about me. Everything you do creates a ripple effect into the field. Every word, every action has an impact. Your life touches others, whether you realize it or not. So my invitation to you is – make an impact. Share your gifts. Put yourself out there and share what you know. The world needs you to shine brightly, as the beautiful gem that you are.